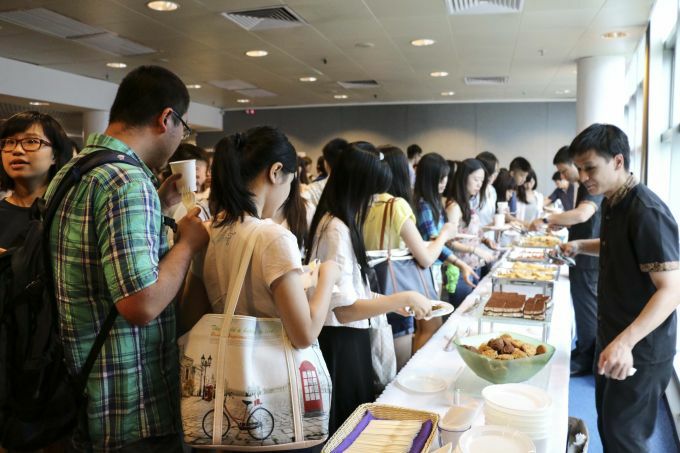 The Faculty of Arts held the annual Inauguration Ceremony for Undergraduates – Faculty Tea Reception on 7 September in order to foster a sense of belonging for new students to the Faculty. 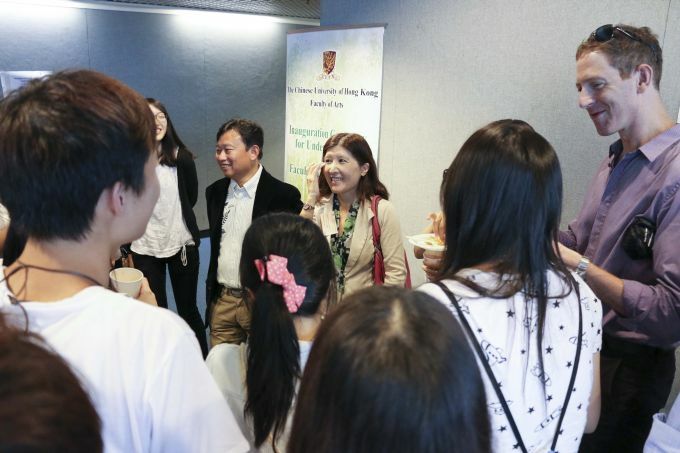 After attending the Inauguration Ceremony for Undergraduates held by the University, over 200 freshmen arrived at LT1 of Mong Man Wai Building to begin an exciting and momentous journey of discovery and learning in the Faculty. 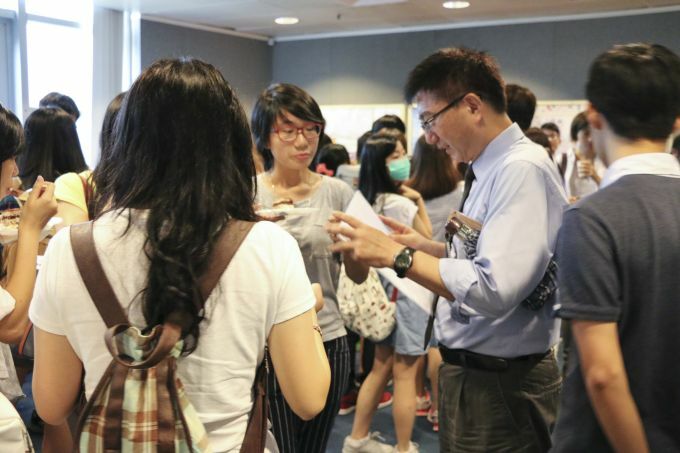 This was an informal occasion for new students to meet and chat with teachers and current students in a lively atmosphere. 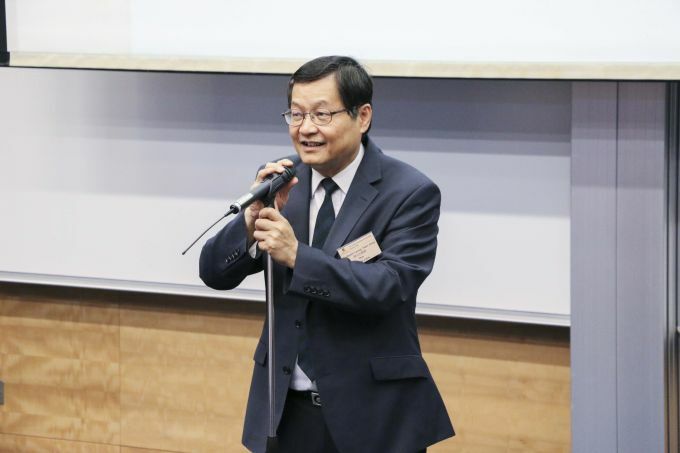 In the welcoming speech, Dean Leung Yuen Sang addressed "To reap your bountiful harvest at the university, you should be prepared for staying open-minded and perceptive in your pursuit of knowledge and in differentiating facts from opinions." The Faculty admitted over 500 students new students in 2015-16.